north bank of the Roseau River, adjacent to the Texaco Service Station. 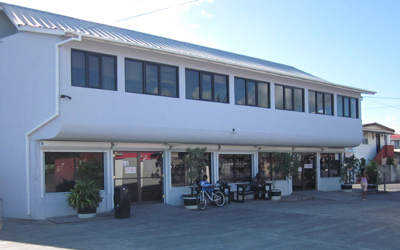 First Floor available as one unit or two separate units approximately 1,250 sqft (116 sqm) each. Conveniently located on the edge of Roseau.